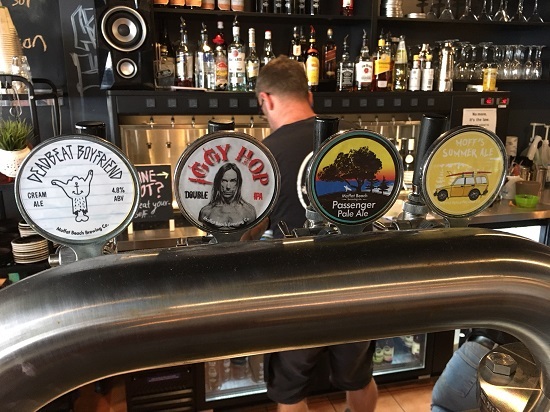 A visit to Moffat Beach Brewing Co.
Before my recent holiday, I made a hit list of the top three craft breweries that I wanted to visit on the Sunshine Coast. Top of that list was Moffat Beach Brewing Company, which is touted as the only beachfront brewery in Australia. 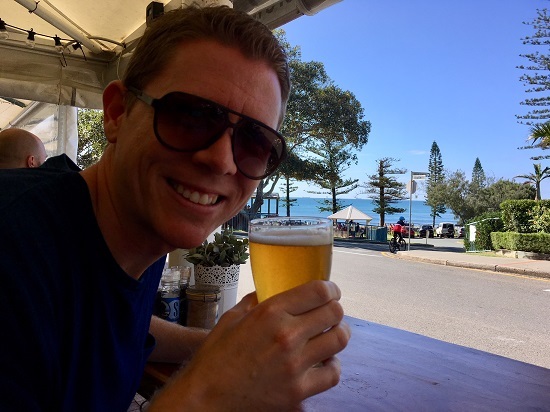 So, upon our visit to Caloundra, which is the southernmost town in the Sunshine Coast Region in South East Queensland, Mrs Best Beer HQ and I set out on a long, scenic walk starting from The Esplanade. We strolled past Lions Park and Centaur Park, along Shelly Beach, all the way to Moffat Beach and its eponymous craft brewery. We were in dire need of sustenance when we arrived there approximately two hours later. 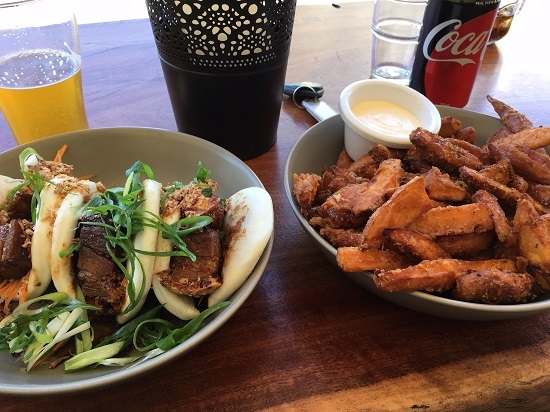 Fortunately, it was lunch time, so we nabbed a seat with a view of the water, grabbed a couple of menus, and decided to order some kumara chips and a plate of three pork belly bao. When I was waiting to order from the bar, I heard the man behind the counter recommend Moff’s Summer Ale to the people in front of me. He said it was fresh and, as we all know, beer is best enjoyed when its fresh. Naturally, when it was my turn to order, I opted for the Summer Ale. This delectable golden ale was just what I needed after a long walk. It was mellow but sweet, with lovely tropical fruit notes, and a medium-bitter finish that quenched my thirst. It paired particularly well with the kumara chips (which were amazing by the way), cleansing my palate between mouthfuls of salty goodness. In fact, I enjoyed it so much that I ordered another. And I would have had a third, but it was time to head back to Caloundra, walking along the same ocean path. Later that afternoon, I’d pick up a six-pack of Twisted Palm tropical pale ale by Burleigh Brewing. Although it was good, I think Moff’s Summer Ale was better. Definitely check it out if you’re ever in the area.